​Our founding partner was born in New Orleans and raised in Asheville, where he attended TC Roberson High School. He then went to Texas where he attended Baylor University, graduating with a B.A. in Political Science. He returned to North Carolina for law school at Wake Forest School of Law. 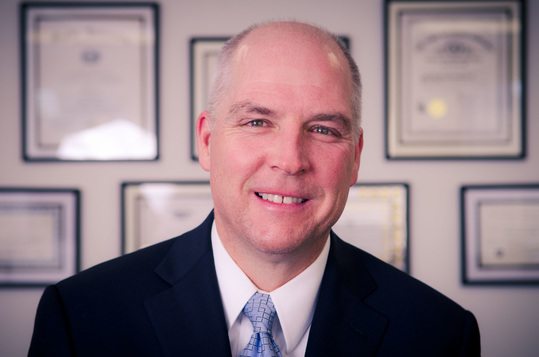 Bill began his law practice in Asheville in 1989, focusing primarily on civil litigation. He founded this firm with respected colleagues and friends in 1996. Over his nearly 30 years of practice, Bill has tried over 100 cases to jury verdict across the counties of Western North Carolina. Under Bill’s leadership, Brazil & Burke has evolved over the years to meet the changing needs of its clients and the Asheville community while staying true to its roots as a dynamic, personable, client-centered firm, including the addition of a Spanish-speaking paralegal and the expansion of a civil rights practice. Bill is a certified mediator, having successfully mediated hundreds of cases across a broad range of practice areas. His practice now includes general civil litigation, real estate litigation, insurance defense litigation, construction litigation, plaintiff-side personal injury litigation, mediation, and criminal defense. Bill has been named one of the State’s Legal Elite by North Carolina Business Magazine. He was national recognized by Board Room Magazine for his leadership skills as one of the top twenty private club presidents in the country. Bill and his wife, Leslie, met during college at Baylor University, and have raised two children, Molly and Sam. Molly is studying Psychology at Appalachian State University, and Sam is a scholarship tennis player at UNC – Charlotte and is studying Political Science. In his free time, Bill enjoys playing golf and snow skiing. He is an Alpine Patroller with the National Ski Patrol and is an Outdoor Emergency Care instructor. He also enjoys traveling, studying the history of the British Navy during the Napoleonic War, and sampling Asheville's local beers.